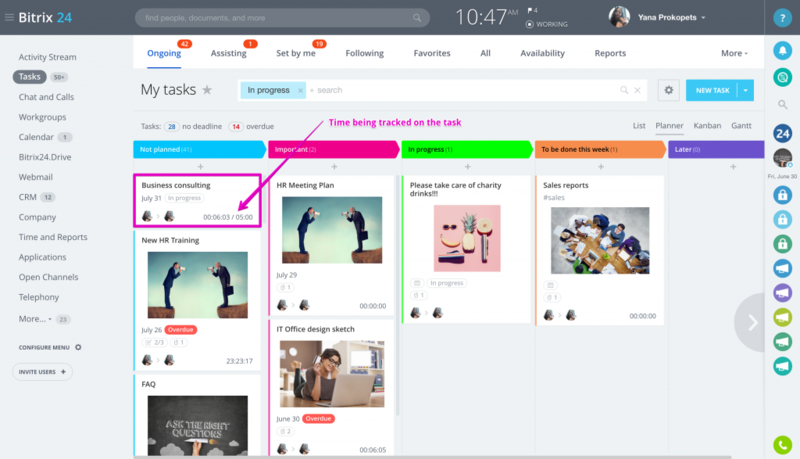 The employee workload planning in project management let you finish more tasks on time and identify which ones are getting dangerously close to being overdue. Supervisors can allocate how much time should be spent on each task and then track actual time spent completing them. Monthly reports on time spent on tasks for each department and each employee are available (read more about Employee Resource Tracking report). 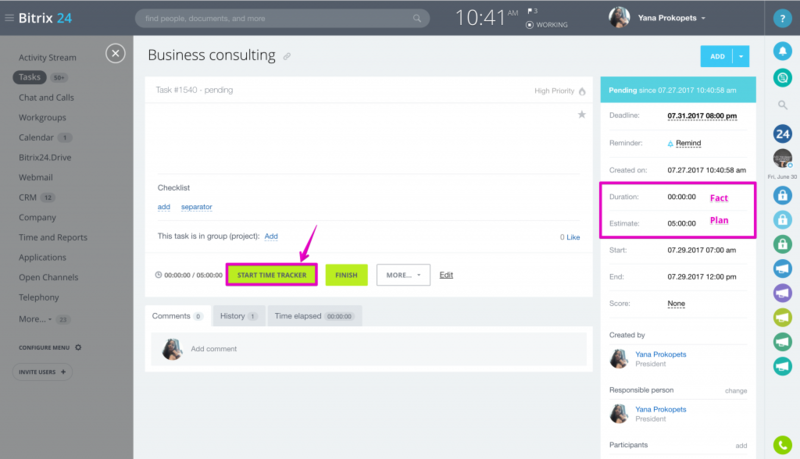 Task Time Tracking is available inside each task form in Bitrix24. 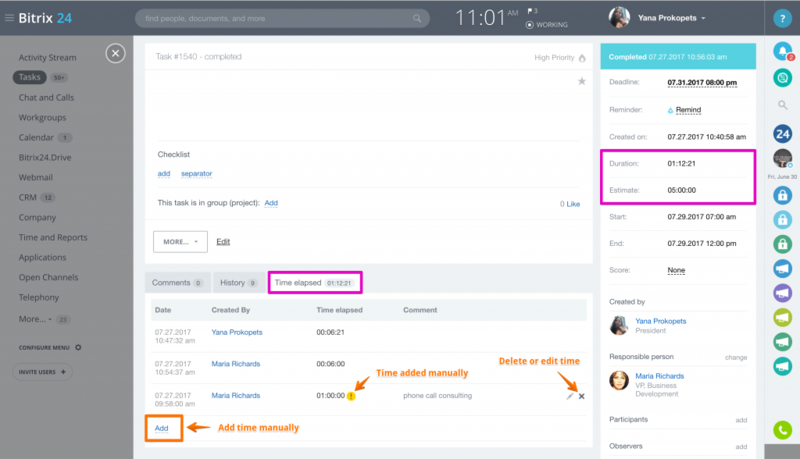 It allows you to add estimated time required for each task & track the actual time spent by the responsible user automatically. After the task has been added, you will see the green Start Time Tracker option inside task form, click on it to start tracking time when you start working on the task. Inside the right side widget you will find the Duration - actual time spent on task recorded by the system & Estimate - time you've planned to spend on the task. 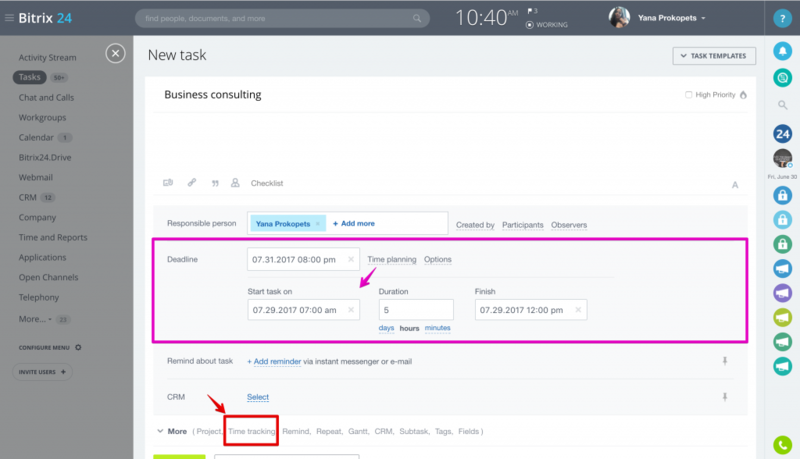 The Estimate field value is the time you have added to the task form Task Planned Time. The Duration field will automatically sum up all time you have spent on the task. Please note that you need to click on Start Time Tracker option each time you start working on the task, and click Pause each time you pause the task execution, so that the system can correctly track the actual time you've spent on the task. When you work on the task with the option Start Time Tracker on, you will see the time Actual Duration \ Estimated Time marks inside the task bar. The time spent on tasks will be shown under Time Elapsed. 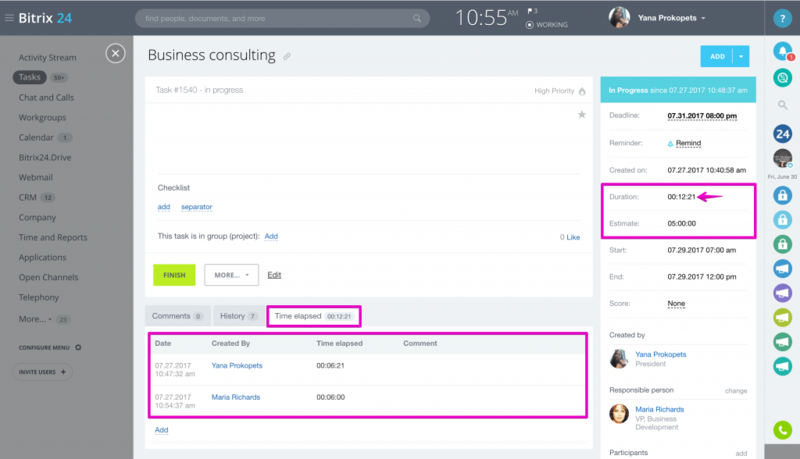 This section will show users who has worked on the task & time elapsed. 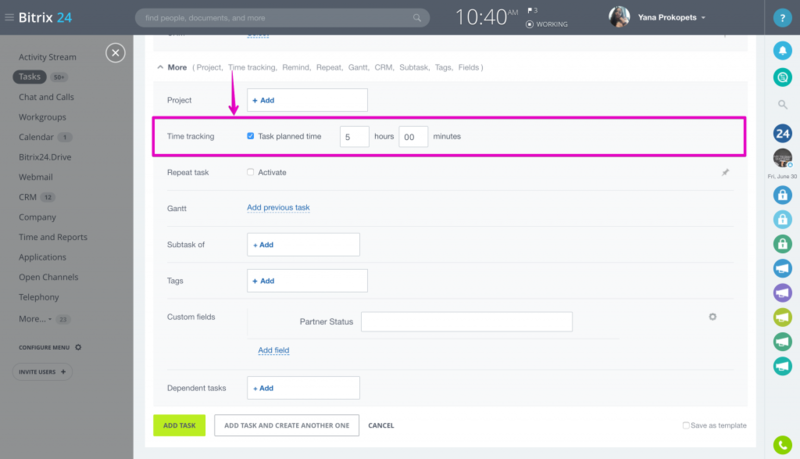 If you forgot to click Start Time Tracker or have worked outside the office, you can add time spent on the task manually with the help of Add tab under Time Elapsed section. Time added manually will be shown with the yellow "!" sign. You can delete or edit time record with the help of icons located in the right corner of the time marks.